Superior quality custom magnetic notepads sized 3.66" x 8.5" with magnetic strip for adhering to metal surfaces…from North America’s largest manufacturer of magnetic notepads for over 19 years. After you complete STEPS 1 thru 3 in the calculator on the left, you will be given the option to design your product online in our design studio or if you choose, you can download a pre-sized template and create your product design offline at your leisure and then upload your design in STEP 3 on the left. We also give you the option to work with one of our talented graphic designers to design the perfect product. You have full access to our our image library so you can design your magnetic notepads to fit any occasion. Use the product calculator on the left to see our standard customization options. 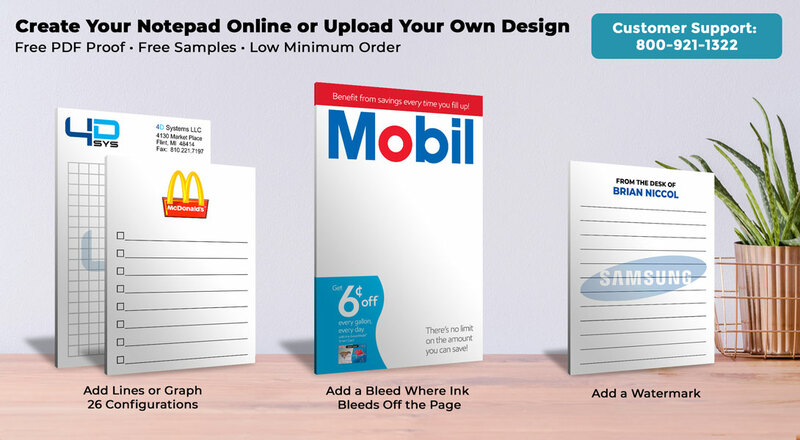 Create your magnetic notepad in either portrait or landscape. 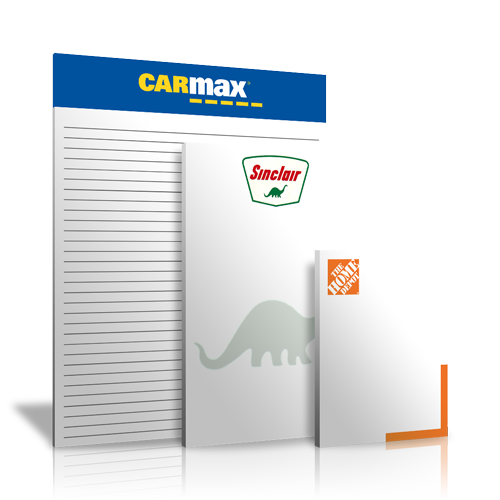 25 sheets per pad with your imprint on every sheet. 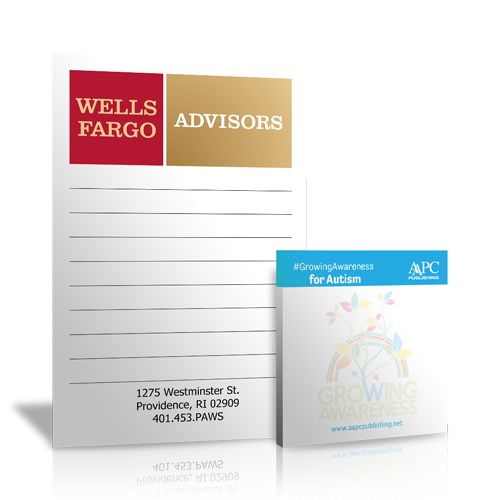 Heavy duty magnet attaches your notepad to metal surfaces. Please note that magnets do not adhere to stainless steel or other artificial metal surfaces. 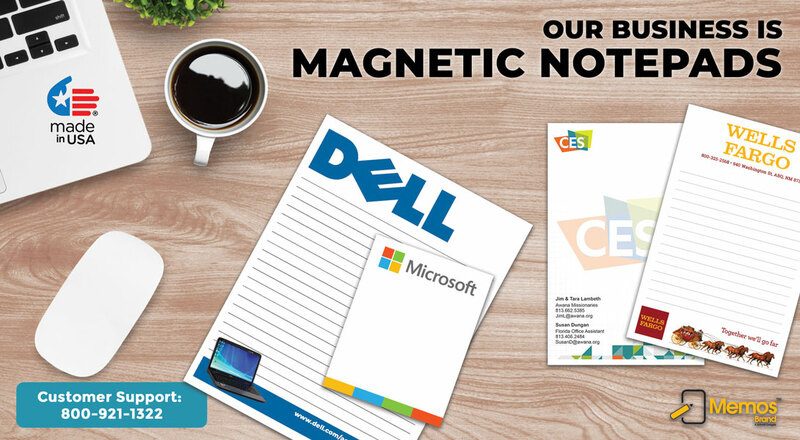 Print your magnetic notepad in full color or economical all black. You can create your magnetic notepad with a bleed and/or a watermark. 150LB manila board back with the option to add a heavy brown chipboard back. 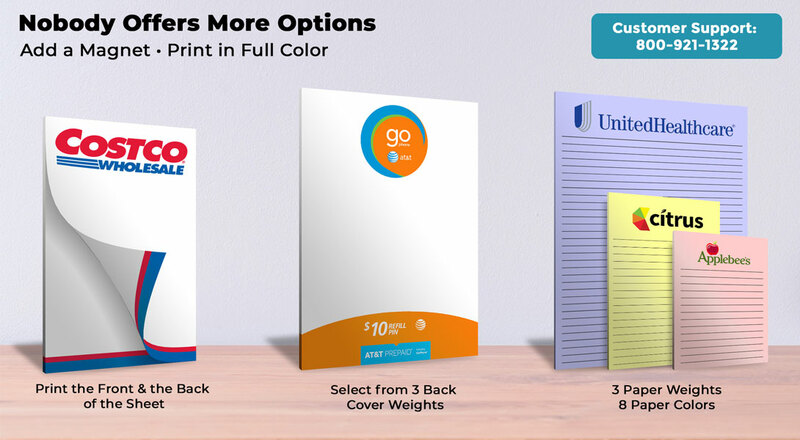 All notepads are manufactured in our own USA factory for superior quality. 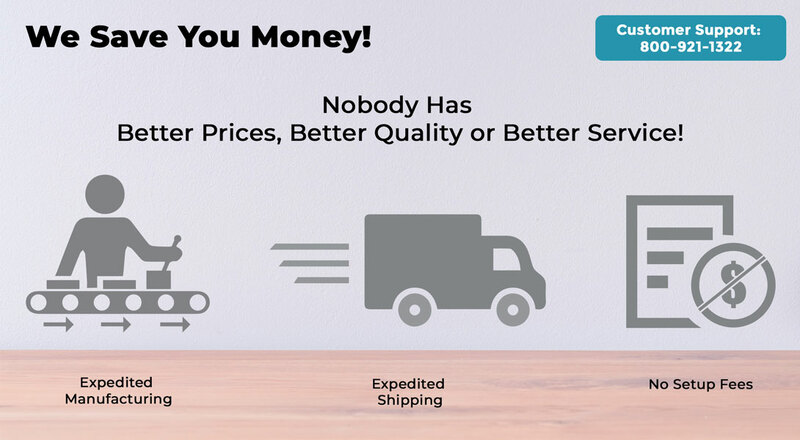 Almost every other supplier imports their notepads…thus the reason why it takes so long to ship the order and why they have inconsistent quality.